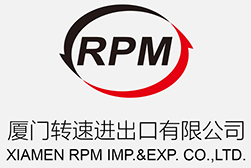 Rimpex Rubber supplies Fluoroether Rubber Compound FEM2401-360, China origin. Fluoroether Rubber Compound FEM2401-360 is a special type of fluorine elastomers copolymerized from tetrafluoroethylene (TFE), vinylidene fluoride (VDF), perfluoroalkyl vinyl ether (PMVE). Compared with common fluororubber, Fluoroether Rubber Compound FEM2401-360 has better low temperature flexibility, outstanding physical properties and processing properties together. So Fluoroether Rubber Compound FEM2401-360 could be widely used as chemical reaction devices' airproof seals, chemical pipeline's lining and fitting parts in various factories; sealing elements in semiconductor industry; special type accessories in automotive industry, petrochemical industry and aerospace industry. The rubber compound looks like uniformity black. Fluoroether Rubber Compound FEM2401-360 should be storaged in dryer, colors changeable silica gels as dessicant, storage ambient temperatures should keep 0℃~30℃. Fluoroether Rubber Compound FEM2401-360 should avoid contacts with materials like oils, organic solvents, which might influence its quality. Fluoroether Rubber Compound FEM2401-360 should avoid corrasion of corrosive mediums like strong oxidizer, etc. The reserve valid period of Fluoroether Rubber Compound FEM2401-360 is 55 days from its production date. Fluoroether Rubber Compound FEM2401-360 should be remilled before usage, such remilling process requires cooling less than 35℃.